Hector J. Gonzalez (CRD #5330726, Miami, Florida), who has been a registered representative of Merrill Lynch, Pierce, Fenner & Smith Incorporated (“Merrill Lynch”) since June 21, 2010, disclosed via Financial Industry Regulatory Authority (“FINRA”) BrokerCheck that his sales practices have caused a customer to file an investment-related arbitration on May 17, 2018. The customer alleged that unsuitable investment recommendations were made, and that important information regarding the customer’s mutual fund and foreign-debt investments had been misrepresented. The customer has requested $10,000,000.00 in damages. (FINRA Arbitration Case #18-01919). Gonzalez also disclosed on FINRA BrokerCheck that on December 28, 2017, another customer of Merrill Lynch filed an arbitration, alleging that the customer’s investment in Puerto Rico municipal bonds was unsuitable. The customer further alleged misrepresentation and omission of material facts in reference to the investments. A total of $6,000,000.00 in damages has been requested by the customer as a result. (FINRA Arbitration Case #17-03509). Soreide Law Group has brought dozens of Puerto Rican bond claims against many different brokers and brokerage firms. Many Puerto Rican bond investors have been holding off on filing a claims to see if there would be a bailout that has never come. There is a 6 year window to bring your Puerto Rican bond loss claims and for many investors that window is now closing so immediately contact a securities lawyer today to discuss your Puerto Rican bond losses with Merrill Lynch broker Hector Gonzalez or any broker that sold you Puerto Rican bond funds or individual Puerto Rican bonds. If you have suffered losses from Hector J. Gonzalez in Puerto Rico Municipal Bond or Puerto Rico Bond Funds or another broker who made inappropriate investment recommendations or misrepresentations to you, speak with the experienced counsel at Soreide Law Group by calling (888) 760-6552. 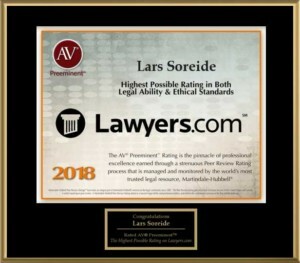 Soreide Law Group only charges a fee if a recovery has been obtained for you, and the firm advances all costs. Soreide Law is conveniently located in South Florida.